provide ideas to start the trust discussion. Will 2019 be the year when you become an enlightened leader? Register to receive these tools via the home page of our website. If you have any questions, comments or ideas, we are here to listen. Important Consumer Alert Impacting You! You have been the victim of a major trust breach and you may not know it. To how many of the following do you subscribe? If you are reading this, you certainly have an account with at least one of these services! Were you notified about the attacks that stole both your email address AND your password? You can view the full list here. In total and as of this moment, 517,238,891 passwords have been exposed to data breaches. I was not aware of the magnitude of this problem until yesterday’s most recent “spoof” appeared in my inbox demanding a bitcoin ransom. I’ve received a few in the past, (after the first one it becomes less scary!) but this was different. Not only was it sent from my OWN email address, but it contained an old password that I had used to register for some of the services shown above. Before you freak out about the next ransomware demand coming to your inbox, check this website to see if you’ve been “had.” Chances are you have, and it’s time to stop using the same old passwords. Please consider making a small donation by clicking here! 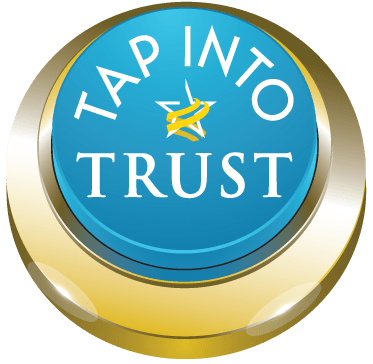 In 2018 Trust Across America-Trust Around the World celebrated its 10th anniversary. We are a collaborative social enterprise whose mission is to help organizations build trust. Highlights of our progress can be reviewed on this timeline. As our programs expanded this past year, we attracted almost 300,000 global visitors to our website and over 30,000 professionals have joined our TAP movement. While we will always be interested in connecting with others who share our vision, we must also remain committed to the most urgent “task at hand” which is building new tools to help our community move its work forward. We are “doers” not “talkers” and “doing” requires time, energy and focus. Have reached out directly with something other than a sales pitch! Click on any of the five links listed above to remain involved, or simply send me a note. Best wishes to all for a 2019 filled with more trust, success and good health.